The PAP still doesn’t have any good ideas. How could it be otherwise? I have always said this, from my first public utterance in December 2008 at an informal memorial service organised by Chee Soon Juan in Hong Lim Park (the only outdoor space legally available to us Singaporeans to gather in) to my latest article in Wired Opinion, Disneyland with the Death Penalty Revisited, April 2012. The PAP with its cadre system based on the communist Kuomintang structure and its stranglehold on the constitution and its huge ministerial salaries is packed with ‘Yes Men’. That doesn’t necessarily lead to corruption as many think but to flabby thinking and a dearth of new ideas. No surprise then that the PAP have made frequent use since then of my generous offer and do indeed frequently pinjam my ideas. (Of course It is easy to pinjam without giving credit from someone whose proposals and solutions are never given space in the public arena due to a blackout)) The latest pinjam bandit is Mr Cedric Foo, who chairs the Government Parliamentary Committee for Transport talking about increased competition as a solution for the transport Industry. Increased competition is rather a mantra of mine in these pages, actually. Comfort and City Cab. Two more pies with fingers in them, (http://sonofadud.com/market/comfort-and-city-cab-two-more-pies-with-fingers-in-them/). So does this mean that the PAP and I are now perfectly in synch? Well, despite what Cedric Foo said yesterday it is unlikely that anything will change any time soon without a change of government. I pointed out in those previous articles that, just as in politics the PAP were unwilling to allow any real competition to develop, so in the economic sphere their preference has been for oligopoly over competition. Mr Foo said: ‘The problem is not enough competition, not just in the rail sector but the bus sector as well… We should bring in people with more experience and expertise.’ This includes foreign operators, he added. Fourthly, and ironically in light of my call for stricter regulation, the crisis has highlighted the need for greater competition. The transport network was thrown into greater disruption because of the lack of alternatives to the MRT network…We need deregulation of the transport network so that other operators, provided they can satisfy the regulator as to deliverability and safety, can enter the market. Ironically shortly after I pointed out the relative age of our bus fleet, the PAP government gave Comfort Delgro and SMRT a present in Budget 2012 in the form of 800 new buses that they did not have to pay for. At this point people inevitably ask whether nationalization is the answer. Arguably nationalization would be better than the faux-privitization we have at the moment, with SMRT a listed company controlled by Temasek and increasingly subsidized by the Singapore Land Authority or directly by the government as in the case of the new buses. Of course the SLA benefits indirectly as the value of the land it owns goes up when the MRT network is extended so it probably makes commercial sense for it to contribute to infrastructure but not maintenance. In economic terms greater competition led to consumers capturing more of the area under the demand curve (what is known by economists as consumer surplus). However the gains to consumers in the form of lower prices and more capacity outweighed the losses to producers. 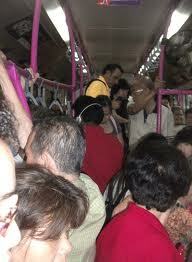 It is likely that this would happen here if public transport was opened up to competition. If there had been greater private sector involvement in the MRT from the start in the form of non-recourse project finance then the burden of losses from greater competition would have been borne by the banks and bond-holders rather than the taxpayer. I am worried that the reported $60 billion which the government is spending on construction of new lines may never be recouped and was undertaken without any debate in Parliament and without the government making explicit the cost-benefit analysis that led to the decision. Finally I would like to comment on Foo’s hints that the government would be bringing in foreign expertise. When Foo added, “We should bring in people with more experience and expertise. This includes foreign operators” he admitted they can pinjam to talk the talk but even Foo knows they can’t actually walk the walk unless they also pinjam a set of foreign legs. But on this evidence the pertinent question we should be asking is not what can the Opposition do for us the people but what value does the PAP add? The government’s stock response to any crisis is to bring in foreign expertise, as Cedric Foo hints will be done now. This rather begs the question of why Singapore, which has been running an MRT network for thirty years and invested tens of billions of dollars, should need to pay for foreign expertise. After all we are not setting up a transport network from scratch nor are we running one of the busiest one in the world on an infrastructure that is 150 years old in places. Yet again the PAP has shown their willingness to slavishly adopt foreign and Western models in business but continue the mantra that we should have a closed system when it comes to ideas. Why not just do away with them as the middle men and go directly to bringing in overseas expertise. We could bring over the leaders of any advanced Nation and save a small fortune on salaries. Can we pinjam a whole parliament? Talking about transport issues, this morning’s papers say Mr Lui Tuck Yew, Minister for Transport has declared that more COEs will be released over the coming months, reversing the proposed tightening of quotas announced in the past few weeks. Mr Lui has probably panicked at seeing COEs cross $90,000 each. In any other place with a free media, this would be called “flip-flopping”. In my language it is also called lack of a backbone: a clear sense of policy and a determination to do what is best for Singapore regardless of the consequences. In this case, for 20 years, the government has released more COEs than our roads can possibly handle. When COEs and ERPs were first introduced, Dr Hong Hai, Chairman of the committee that proposed the quota system promised that the new direct controls on vehicle growth and usage would keep traffic on our roads “free-flowing”. Plainly this has not happened. The government has, in the meantime, made billions from the two schemes. It is now caught between a rock and a hard place, between trying to appease public opinion and keeping our roads free of grid-lock. As the PAP is discovering, though, its hard to put the genie back in the bottle once its out. Although this is not an economic issue, it is an issue of simple management at which the PAP government has clearly failed despite having made thousands of people pay for the privilege of owning and driving cars. Run out of ideas it certainly has!